This guide will show you how to set up the Formstack + MS Dynamics integration. If you don't have an account yet, or if you'd simply like to learn more, check out our webpage about the Formstack + Microsoft Dynamics Integration. With the Formstack + Microsoft Dynamics integration, you'll be able to link one or more Formstack forms to Microsoft Dynamics, and the integration will create a new lead or contact (your choice) whenever one of the linked forms is submitted. Go to: https://accounts.bedrockdata.com/ and log in with the username and password you set up after you received your invite. If you haven't received an invite yet, request access here. After you log in to Bedrock Data, go to the Connectors page by clicking "Connectors" in the left-hand sidebar. Then, select the "Formstack" connector in the dropdown, and click "Install". Next, you'll see a screen confirming that you have logged in to Formstack. Click "Save". NOTE: These instructions are for customers using the cloud-hosted version of Dynamics 365 (version 9). If you're using an older version of Dynamics, or an on-premise version of Dynamics, we have a separate guide which you should follow. For Dynamics version 8+ hosted in the cloud, select "MS Dynamics (v9)" in the dropdown, and click "Install". In the dialog box that appears, click "Sign In to MS Dynamics (cloud hosted v9)". 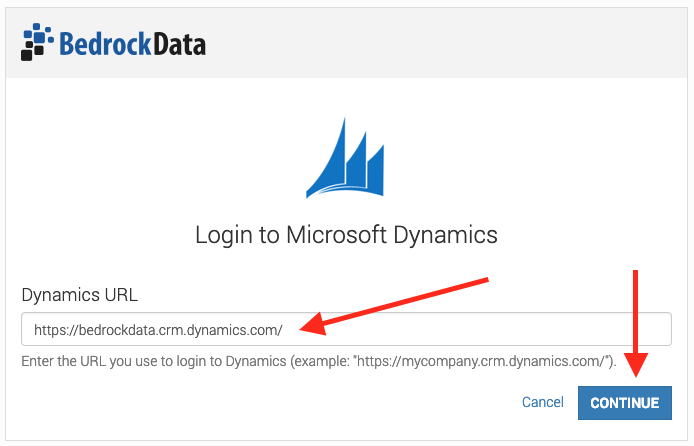 Next, enter the URL that you use to access Dynamics. This will look something like: "https://mycompany.crm.dynamics.com/". Enter the appropriate URL for your organization, and click "Continue". 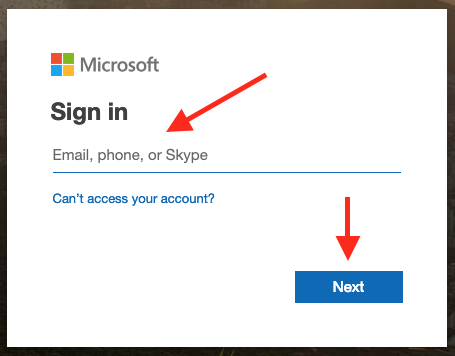 If you aren't already logged in to Microsoft Dynamics, you'll be asked to login. Enter your username and click "Next". On the next screen, you'll enter your password. After you log in to Dynamics, you'll see a screen confirming that you logged in successfully. Click "Save". Next, you will map fields between a Formstack form and Microsoft Dynamics. You'll pick a form to integrate with Dynamics, and you'll tell Bedrock which fields on the form correspond to fields in Dynamics. Click on "Mappings" the left-hand sidebar. Then, click "Add Mapping". Next, click "Add Field" to set up the first field you'll send to Dynamics. This will bring up the field mapping dialog. Here, you select a field from Formstack that you want to send to Dynamics, and the corresponding field in Dynamics where you want the data to appear. Under "Connector", click the text that says "Click to Edit". Then, under "Object", choose the form that you want to integrate with Dynamics. Note that the name will be displayed a little bit differently within Bedrock. 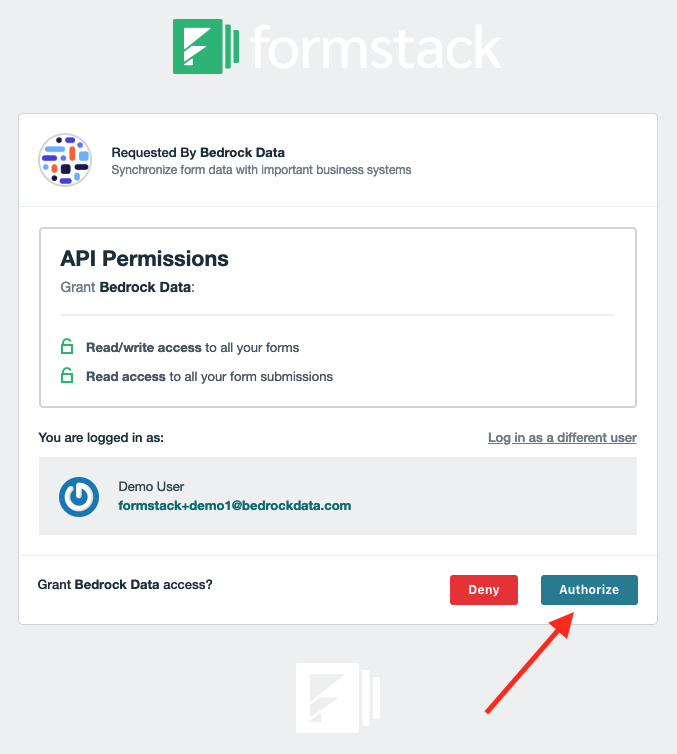 For example, if the form were called "Demo Form", then the name in Bedrock would be "formdata_demoform". Finally, select the field that you want to send to Dynamics. 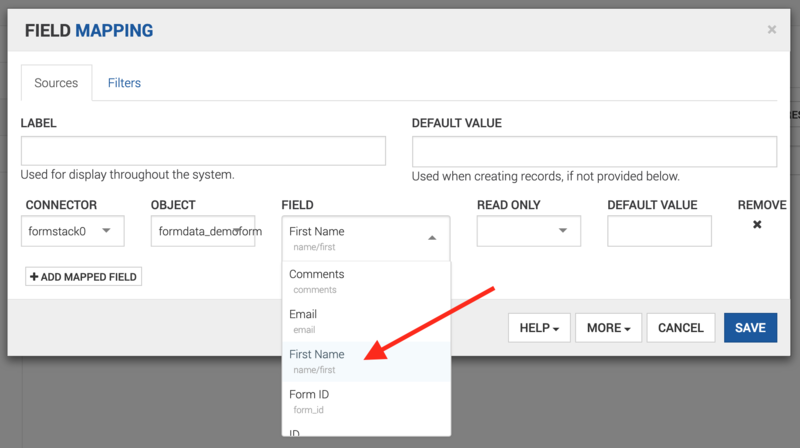 Click the dropdown that appears under "Connector", and choose "dynamicscrm0"
NOTE: stick with one form for now -- you can add additional forms later, by going back to step 4 and starting a new mapping. We recommend setting up one mapping per form that you want to integrate with Dynamics. Once you see a green rectangle with a check mark in it that says "Up to Date", you'll know that the integration is ready to start processing new form submissions. 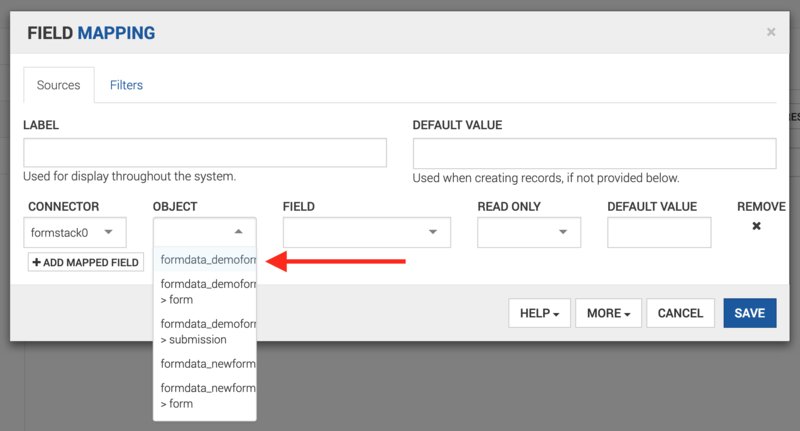 If you chose "Sync All Records" in Step 6 above, this will also indicate that the integration is finished sending your previous form submissions to Dynamics. As a final step, we recommend running a test to ensure that your integration works the way you expect. Go ahead and submit the form you just hooked up to Dynamics. 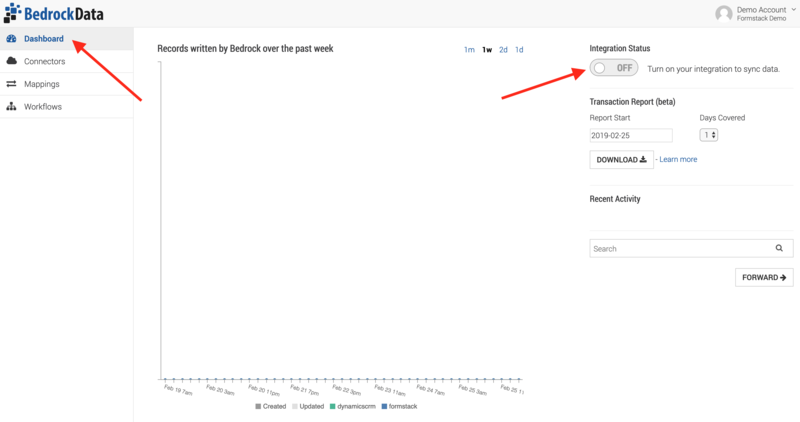 After a few minutes, the information you submitted should show up as a new lead. Mismatched dropdown options: for dropdown fields, make sure that every option on the Formstack form is also present in Dynamics. If you have any options coming from Formstack that aren't present in the dropdown in Dynamics, the integration won't be able to create new leads/contacts. It is also important to note that the options in the dropdowns residing in the respective must be a character for character match for the creation of a new lead/contact to be successful. 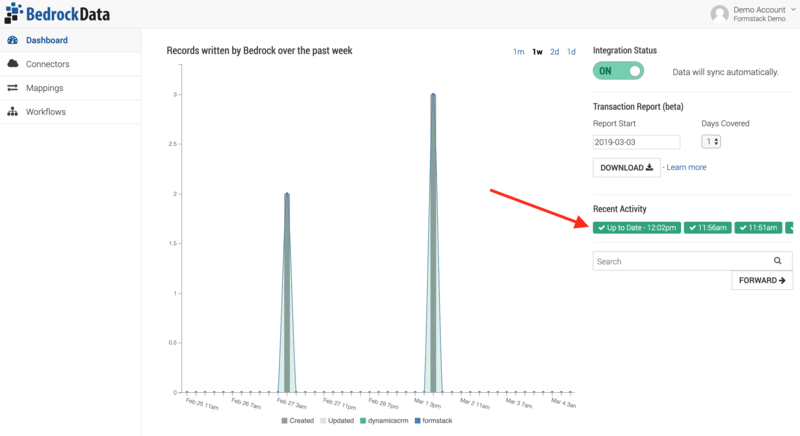 If you are having trouble getting form submissions to send data into Dynamics, reach out to support@bedrockdata.com and we'll be happy to help you troubleshoot.